That means a center-mounted fuel cap and leather straps for the hood. Just last month, Porsche aside from a few small details. Porsche hasn't officially confirmed that the Speedster would enter production, but , pretty much confirming that the Speedster will reach production. 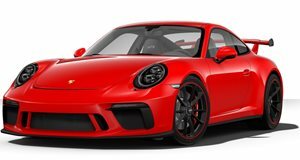 We are still waiting from an official announcement from Porsche, but sources close to the project have just leaked some details on the Spike's Car Radio podcast. The podcast is hosted by Spike Feresten, a writer, comedian, and Porsche enthusiast. Feresten is best known for his work on Seinfeld, having written the famous 'Soup Nazi' episode. He is also good friends with Jerry Seinfeld, one of the world's greatest Porsche collectors. Feresten didn't say who his anonymous source was, but it could be Seinfeld, who claims he . In any case, we trust that Feresten may know a thing or two about the upcoming Speedster. For starters, Feresten said on his show that the car would be "exactly" like the concept. This means those crazy side mirrors and centrally mounted fuel cap will remain on the production car. We find this hard to believe, but we certainly wouldn't object to it. More importantly, Feresten confirmed that Porsche will build 1,948 examples of the Speedster, to celebrate the company's 70th anniversary. Porsche only built 356 examples of the previous 997 Speedster, so perhaps this new car will be slightly more attainable.